Roussel (l) dug in to secure victory. 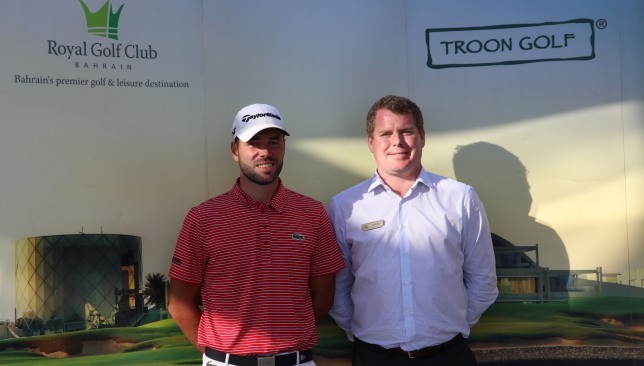 Robin Roussel did not produce his best golf in the final round but managed to battle hard and hang on and also take advantage of his rival’s mistakes to win the Troon Series – Royal Golf Bahrain Open on Wednesday. England’s Joshua Grenville-Wood made a stunning par after hitting his tee shot into the water but paid a heavy price of three-putting the 16th hole for a bogey, which gave Roussel the leeway. He finished tied for second place at 11-under par 205 alongside compatriot James Allan (68), who made four birdies over his back nine to move up the leaderboard. In the amateur category, Dubai-based 14-year-old Josh Hill shot a one-under par 71 despite being under the weather and tied with Curtis Knipes (69) for the leading amateur at three-under par 213. Another Dubai-based player, India’s Arkesh Bhatia (71), was third at two-under par total. Roussel, who opened with rounds of 65 and 66 and rarely struggled on the demanding course, courted trouble several times during his final round. He started with an early double bogey on the second hole and even though birdies on the fourth, ninth and 12th got him back to red numbers, he had to knuckle down and make a courageous par on the par-5 13th and then made bogey on the par-5 14th – two holes that he birdied in the second round. Joshua Grenville-Wood turned in a superb final round. Grenville-Wood started with a three-putt bogey from the fringe on the opening hole, but played solid golf thereafter and kept chipping at Roussel’s lead until his second three-putt bogey of the day on the 16th. He had pulled to within one shot, but the mistake on the closing stretch gave his opponent some breathing space. It turned out that Roussel needed that advantage of two shots. On the 18th hole, Grenville-Wood pushed his tee shot into the water, and then went on to make a superb par from there. On the other hand, Roussel made a bogey and scraped through by one shot. “I am delighted that I have won. 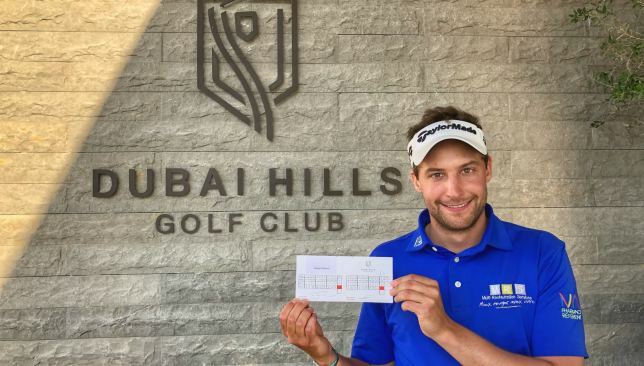 It is a great way to start the year for me, but the round also kind of brought me back to earth,” said the 25-year-old Parisian, who recorded his first win as a professional in a recognised MENA Tour event. Grenville-Wood was delighted with his effort. “I think I played great. I am ecstatic. I did not expect this at all. Going into the week, I just wanted to make the cut and play some good golf,” said the 20-year-old from south London. 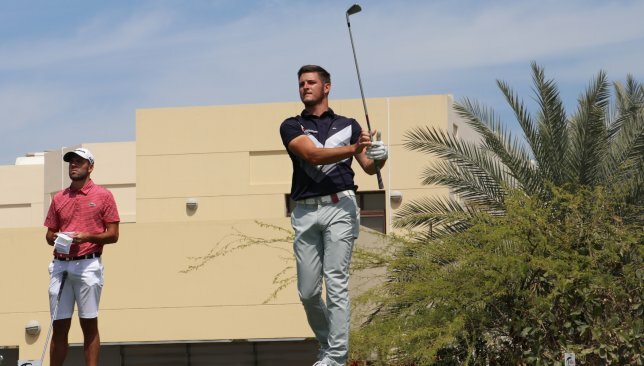 Allan, winner of the Amateur Order of Merit in 2014 and 2015, secured his best finish as a professional on the MENA Tour. He parred every single hole from one to nine, before birdies on the 10th, 12th, 13th and 16th holes. The tournament brings an end to the Spring season of the 2019 MENA Tour calendar. The Tour will return for the Autumn season in the last week of September.